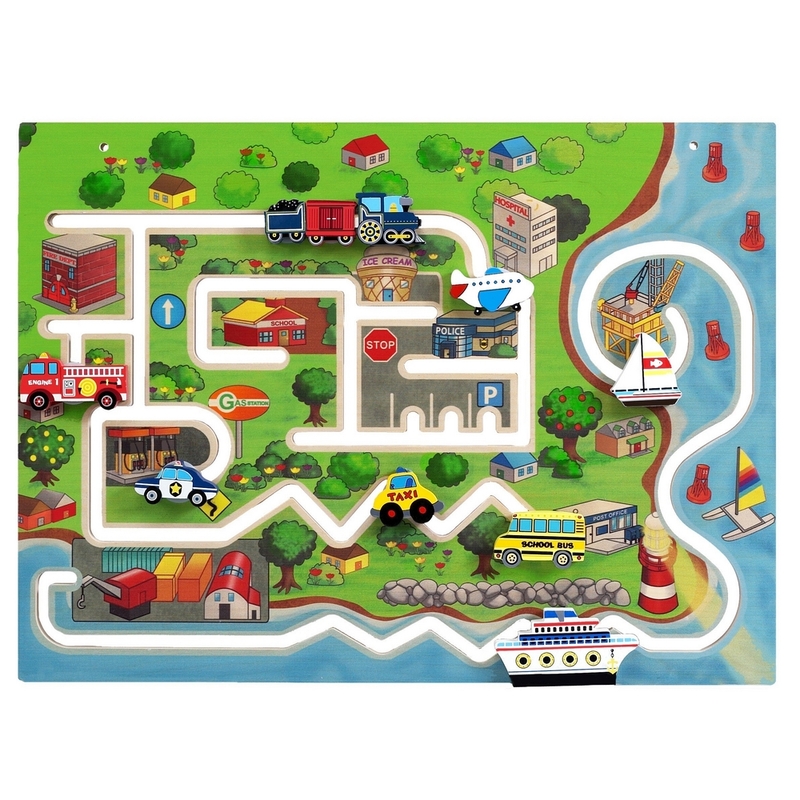 Children are endlessly entertained as they move the cars and boats to get around the busy city. 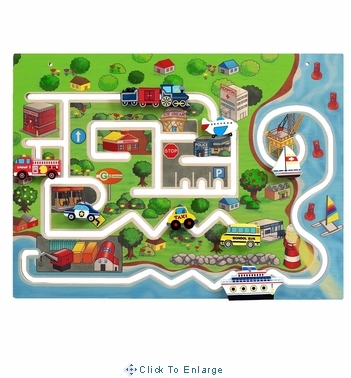 Wooden figures include boats, a school bus, ice cream truck, fire engine, ambulance, garbage truck, mail truck,taxi, police car, and city bus. 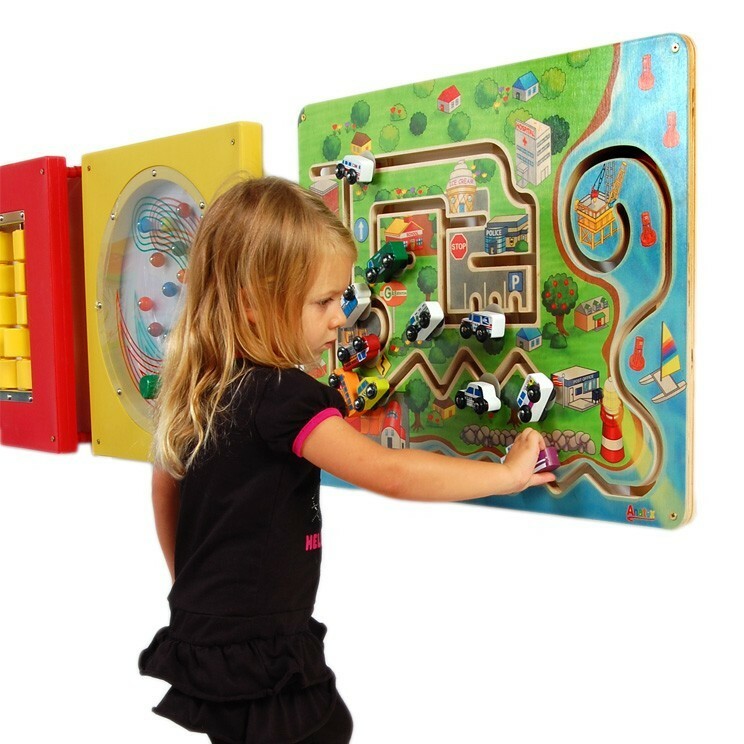 While children guide the pieces along the paths to get to their various destinations, eye-hand coordination, visual tracking, and sensori-motor skills are challenged. 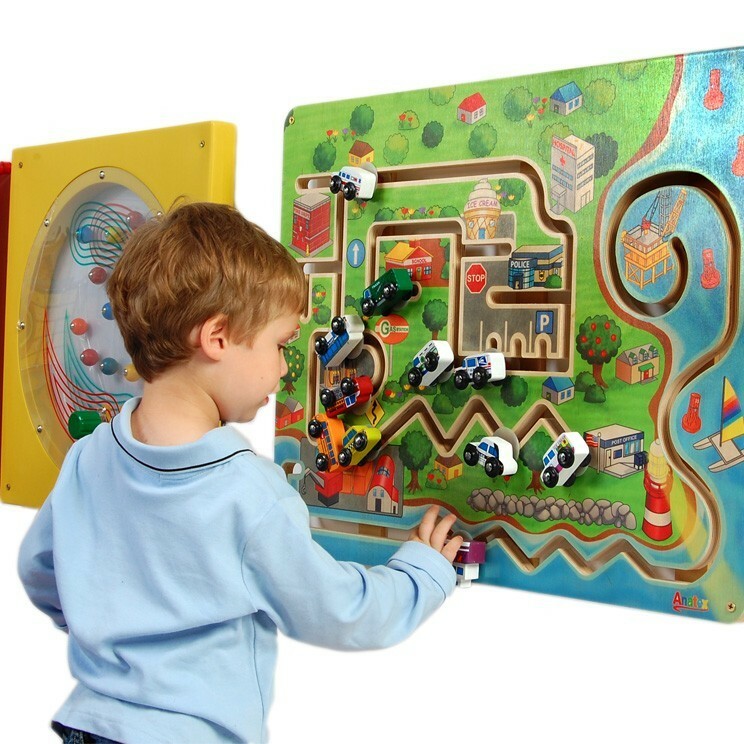 Kids experience the excitement of city life while playing with this Kids City Transportation Wall Panel !